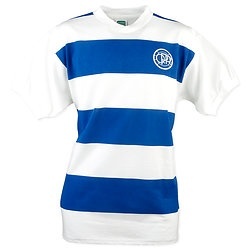 Here it is, the first ever shirt produced by Adidas for an English club. The famous 'Trefoil' symbol was introduced in 1972 - it represents the continental plates coming together in the spirit of the Olympics, the tournament Adidas were mostly associated with at the time. 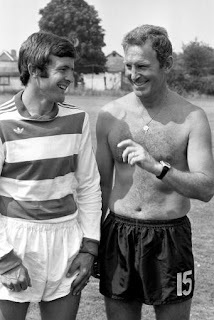 Despite featuring in the pre-season photo shoot, Adidas' first ever foray into English football never saw the light of day for a competitive match. 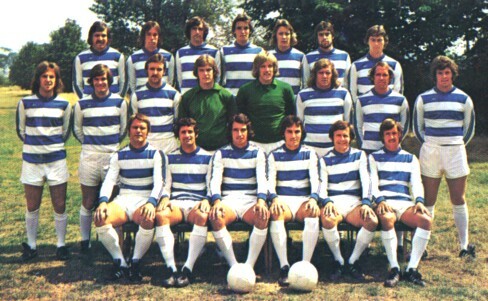 Instead QPR took to the field on the opening day of the 1975/76 season in a new offering by Umbro, sporting both the manufacturer's logo and the QPR badge for the first time. It didn't last long though. 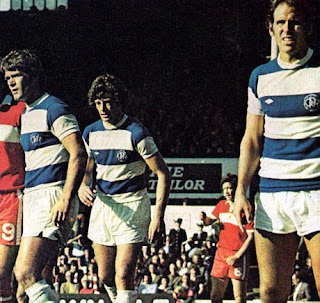 By October another offering by Umbro was unveiled with thinner hoops and a blue collar. It would be used for the rest of the season, a season that so nearly saw QPR crowned 1st Division champions. 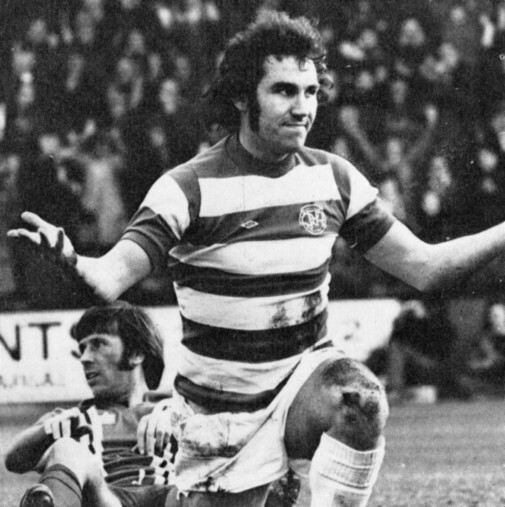 The '1976 replica shirt' - as available in the club shop. 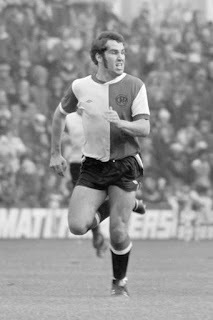 Nice shirt, but doesn't bear much resemblance to any shirt around this time. The away kit was the same that QPR wore towards the end of the 1974/75 season, now including the badge and Umbro logo. The away kit was readily available to buy in the club shop, though no mention of the home kit in the match programmes - probably because there had been so many the club didn't know which one to sell! The modern day replica version. 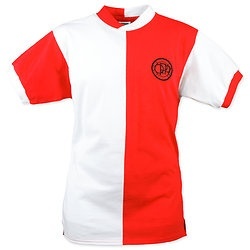 If you reverse white and red you have the home shirt of Feyenoord.